Ultramarathoner, Centurion (NZ C16), competitive walker, and runner. Welcome to my blog. The title originates when my primary athletic activity was competitive walking, but now that I am back to running it also includes that. Not all content is accessible from the main page: for example, the rogaines, racewalking, and ultramarathon pages all include content that is only accessible from those pages. Ultramarathons are any event longer than the standard marathon distance of 26.2 miles / 42.195km. Standard distances for ultras are 50km, 50 miles, 100km, and 100 miles. There are also 12 hour and 24 hour track runs, and multi-day "stage races". I have currently (September 2012) completed 30 ultramarathons, plus 1 DNF at about 66km at the Molesworth Run. Reports for most events are provided below. a post about my fansite for the Marton-Wanganui ultramarathon. Rogaining is the sport of long distance cross-country navigation. Events can be as short as 2-3 hours or the standard 24 hours. Teamwork, endurance, competition and an appreciation for the natural environment are features of the sport. Rogaining involves both route planning and navigation between checkpoints using a variety of map types. My reports for selected events are provided below. The Mountains category covers both events and hiking in various places that can be classed as mountains. the leg has to be straight from the moment of first contact until it is upright. More detailed rules are here. I'm not particularly good at racewalking, often falling foul of the straight leg rule. But I still give it a go and here are the results of my endeavours. This blog is primarily about my walking activities, but sometimes I do run. Here are reports for events where I have run. I classify events as ultramarathons, marathons, rogaines, and "shorter events". So a "shorter event" is just something that is shorter than a marathon and is not a rogaine. Consequently there's a mixed bag in here: running, racewalking, half marathons, 10k and 5k races, , etc. 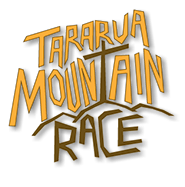 The Tararua Mountain Race ventured into controversy this year by daring to try a different course – the plan being that the traditional course from Kaitoke to Otaki Forks across the tops (i.e. the Southern Crossing) would still be employed on odd numbered years, but on even years a different course through the Tararuas would be trialled. This bold new plan was intended to attract new entrants to one of New Zealand’s oldest and longest running mountain events (not to mention the toughest event). 2014 this bold new plan was put into action, with the race staged across the rugged Kaitoke-Holdsworth route. Some of the traditionalists grumbled and moaned, with early entries very low. But a week to 10 days out from the event there was a surge in entries (almost doubling), and the race was on. The race starts with almost 80m (maybe only 50m) across grass before plunging into bush and the first climb. A bit of a rude shock at 7am, but before long one is out onto more runnable track gently climbing to the Puffer Saddle. Following Smiths Creek down the other side the track is at times steep, rutted, and rocky, and at other times gentle, smooth, and fast. At the bottom of the descent the first (very welcome) surprise… course markings directed us away from DOC’s alternative route up and around some slips (now a few years old), and instead along the well-padded tracks across the slips. Excellent decision – the alternative route is very steep, rooty, slippery, and a lot more dangerous. The only stream with a guide wire. First check point is Smiths Creek Shelter and then it is up the Tauherenikau River to Tutuwai Hut. Lots of good running along here, so long as you don’t mind the odd roots, rocks, and stream crossing. Excellent water supplies were provided on course – every time we cross a side stream the water is crystal clear and drinkable. Tutuwai Hut itself is off the main track and up in the bush, so the SAR team marshalling at this location have come down to the track. A quick check in and time to go again. Still heading up the Tauherenikau River, this time towards Cone Hut. I wasn’t 100% sure of the track here so stopped to get my map out and was passed by a team of two girls… right track, a bit of a climb and up to Cone Hut. Cone Hut is an “iconic” backcountry hut dating from 1946. We’re now about halfway in distance, but the climb is about to begin in earnest. This is a fairly steep climb with lots of roots. There’s a couple of trees down, but nothing too much of a problem. Top out and there’s the next SAR team and lots of tape and signs making sure we don’t go the wrong way. The navigation is easy! Down the other side… get to a stream… looks like the track goes across… over I go.. nope, no track. Clamber over a fallen tree… maybe it’s here… nope, slip, crush left calf between right leg and fallen tree. Head back towards the stream and none other than Jean Beaumont makes the same navigational call, she heads to where I’ve just been. I find the track marker… down the stream… let Jean know, and soon she’s caught me up and passed again. Some good Tararua running here (downhill with roots), but soon another runner catches and passes me. He’s gone… until I get to the next stream. There’s a really BIG orange triangle on this side and… nothing on the other side. The other runner is searching in the obvious place, and I briefly join him there too. Not there, so back to the marker… ah, there’s the track, hidden by vegetation and heading in exactly the opposite direction. A couple of ribbons on the far bank indicated the exit point, and a few metres beyond that the track became obvious. Climbing again, up another hill the same height as what we had just descended. A big downhill down the other side, descending to the Waiohine River valley. A slip and a fall on a tree root down here, but nothing serious. Down to the flats and the immediate potential to go wrong again… the natural lie of the land draws runners right towards the river, whereas the track goes left and across a new bridge. One of the leading teams went astray here and I did my last good dead for the day calling them back to the bridge. Along the track towards Totara Flats, this should be easy. Lots of little ups and downs, twisting, weaving, and then ouch… I ground my right ankle against a rock. Hobble and walk for a bit, but I’m getting pretty tired now anyway. The flats might be flat, but the running isn’t great… even the pretty grassy flats have lots of rocks in the trail. Eventually check in at Totara Flats Hut, with just around 11km to go. The problem is that the last 5km is a big downhill, and there is still 1,000m of climb to go. providing perspective to just how steep this climb is. Over the swing bridge and in to the first climb. My legs are toast now and this is a long, slow plod for me. Eventually top out from that climb and it’s runnable again. A short downhill to meet the old track, and then it’s the most horrendous climb of the day. Rooty, and at 30% very, very steep. Another slow plod and I eventually top out at the groomed Mt Holdsworth track. 5km to the finish, yahe! Time to run again! My legs are pretty fatigued though, so there’s still a few walk breaks down here. ahead of me in the earlier photo. Hit the flats, 1.2km to go, and the legs suddenly feel like lead. Still, how much of this can I run? I pick off one runner who I had last seen much earlier in the day, and then spot another just ahead. This is the same guy I was running up the Tauherenikau River with prior to Tutuwai. I fall in behind him on the final bridge across the Atiwhakatu, and then blast past in a finishing sprint. My time is nothing flash, but that’s 40km and 2,000m of ascent done in a much faster time than my original time (the winners are perhaps 10 mins faster on this course), and I had not really trained for anything much longer than 17-20km. Definitely happy with that!